Stop by our booth to meet with members of our Medical Devices team, including Ellen Turner, MBA, global market development manager, and Thomas Meehan, specialty plastics technical support. 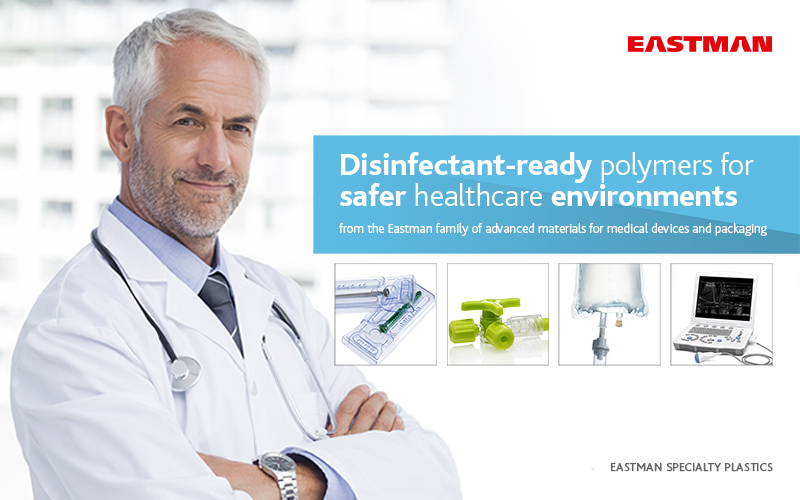 Speak with Dr. Yubiao Liu, Eastman's lead medical application development scientist, and learn how the 4-step test for chemical compatibility is gaining popularity in the industry. And on February 6, UCSF Medical Center biomedical engineer Richard Fechter will be on hand to discuss manufacturability, cleanability, and serviceability of plastics in healthcare.